Discussion in 'Football Forum' started by DesiBD, Mar 20, 2018. What players had the potential to become fantastic players if they just had the right amount of proper work ethic? I think it's still too early to add Shaw to that list, but it doesn't bode well for him. I could be wrong, but Martial doesn’t strike me as the strong work ethic type. Not anyone we have heard of. Talented players with out work ethic wash out of Football. Berbatov, Ozil, and Payet, all supremely talented, I like them all, but they come across as lazy. Adriano. Biggest world class waste of talent. Januzaj, morisson, Anderson, Wilson and now Shaw for us. Adnan, whose surname I struggle to spell. I haven't really followed him since he left us but his attitude was always in question. Adriano. Biggest world class waste of talent. That's different. Adriano's father passed away when he was having a great season for Inter which was the primary cause for his depression and alcoholism. Didn't know that. I expected him to reach Zidane, ronaldinho, fat Ronaldo level of world class. Came in to say Riquelme. Difficult to say with some as you don't spend time with them at training, only their teammates would actually know. Take Ben Arfa for example, can't ever remember him being in anything either than peak physical condition yet despite that and his undoubted ability he never came close to being a great player. IMO the biggest influence on a footballers ability to reach the 'great player' category comes down to understanding the game. If that side of footballer doesn't develop, then they'll never reach the heights that people previously thought they would. Take the difference between Ben Arfa and Mahrez, on the surface very similar levels of talent from a technical standpoint. Both have great technique in terms of executing shots and passing from point A to B but it's pretty obvious that despite Ben Arfa being a superior athlete, he's nowhere close to the Algerian in terms of football brain. He's never had the decision making and the positioning during attacks to consistently make a difference on the big stage. Now he gets labelled as a player that was to lazy to realize his potential. I think that's why a player can develop rapidly under coaches who have a precise way of player with clear instructions instead of one's where they are asked to figure it out. Something I hear often, and think is plain wrong, is that some players are technically "gifted", like they were born with some ability to dribble or control the ball, that other players never could be capable of. Like any other form of abilities, good technical ability can be learned, through hard work, repetition, discipline etc. If there are any ability in football that a player is born with, and that you can't learn if you're not born with, it's physical abilities like height and pace. There's no reason why someone like Andy Caroll shouldn't be able to be as good as Lewandowski or Benzema, who have similar physiques, or why Walcott or Lennon shouldn't reach the level of Sanchez or Willian. In that sense I would rather label players with great physical abilities, but limited techinal ability as the lazy ones, than the ones who are technically "gifted", but don't have the necessary physical or mental abilities. I know he became a fantastic player but for me Gazza had the talent to be mentioned with like of Pele, Messi, Maradonna and Cruyff as a true great of world football, but he went of the rails to young. Surely you'd have to have shown a huge amount of dedication and application to make it at any level as a pro footballer? Matt Le Tissier, laziest bloke I've even seen on a football pitch. Gazza kinda went off the rails due to the injury he got before going to Lazio, that and the ensuing boredom and being away from home was probably the likely suspect in him going doolally with booze and misbehaving himself. I'd love to have seen how he'd turned out had that FA Cup match gone differently cos like you I think he has the talent to become a true great and it's heartbreaking to see what he became. The fella made mistakes but first and foremost he was a nice lad with a heart of gold, something just went wrong with him and he's paid for it ever since and will ultimately pay with his life too early no doubt . Zlatan has said that he's the biggest talent he's ever seen about Adriano. Can't believe nobody has mentioned Adebayor. He had the tools to be Drogba+. 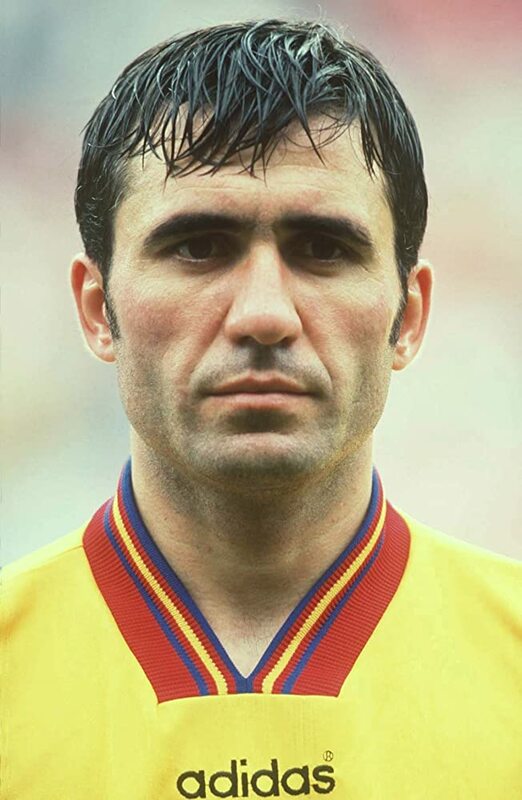 Quite a few of the better players that made up the first group of Soviet footballers allowed to move abroad went way off the rails with their work ethic. Especially the younger guys who adapted quickly to the lifestyles of Spain and Portugal in particular, but given so much more freedom often lacked the self-dicipline to moderate things and had little attachment to their new clubs. The Tsar was the only one who really sorted his career out in the end, though his bad attitude in the first half of his career(which only partially went away) definitely hampered his accomplishments. At the other extreme, Scherbakov was paralysed from the waist down after getting into a car crash while drunk. Andrei Kanchelskis who became one of the most successful ex-ussr players of that generation, was actually one of the lesser regarded of the notable players who moved, he only had a better rep than the younger Scherbakov from that list. He really showed the importance of a good mentality, developing into an excellent international level player when most of the rest had already killed their careers. Andrei Arshavin was a throwback to that era in the way he wasted his talent and lost interest in the sport. Quaresma, still think he's fantastic but with the talent he had he should have made more of his mid 20's. There are much more innate talents like coordination, awareness, criativity to new a few. Do you think if Smalling was born in a favela he would play like Ronaldinho? The tiny difference in processing speed dictates huge differences in potential output. He’s the player with more skills than anybody else, is a shame because he would be the GOAT by far. He is the greatest of all time.. What a player..
Well, players like Ronaldinho are usually not the size of Smalling, because it would be difficult for him to turn and accelerate fast enough to be that type of player. However, I believe he could have been a ball playing CB, a CM in the ilk of Toure or a striker, if he had worked on the right things from a young age. Your coordination, awareness and creativity can improve massively if you work on it on a daily basis your entire life. Terrible ethic is a strong word but fits perfectly for Balotelli. The guy ruined Mancini's image as a manager and done some damage to Rodgers. Mido was superb talent but after almost killing Zlatan in Ajax dressing room after Ibra pointed out his terrible pitch decisions... shame. He was really good. I’ve racked my brains but cannot think of a lazier footballer. In all honesty he was a disgrace and a dreadful example of the application required to be a top footballer. For some reason he gets away with it. Undoubtedly talented but it’s little surprise that a top club never really tested Southampton with a big bid. George Best? Could have been better for longer. Some things you can't change like I said. You can improve it sure but not by a huge margin. It's like everything in life, in order to be good you must like it and thus spend millions of hours doing it effortlessly but what will sepa rate the good ones from the rest is the combination of genetic factors. It's not players like Smalling just kick a football once in a while, most of them are considered genius of their high schools but when you reach a pro level it's the little differences that dictate what type of player they become. If it was just like an rpg why Brazil doesn't have anyone like Ronaldinho since he retired? Or Ronaldo? Or Pele? I've also come from a football everyday background and played with some very talented players that became pros. Usually a talented football player is also quick witted and has great reflexes which give them advantages in anything that requires brain/body coordination. Obvously amongst good professional players you will also find not so talented and players that don't think as fast but they usually make it up with physique or work rate. Don't think there's ever been anything wrong with Jones's work ethic, never any real public complaints that I can remember at least. Can't believe we're taking this thread seriously after the OP mentioned Nick Fecking Powell !!! The difference between the greats, such as Ronaldinho, Ronaldo and Pele and good players like Neymar, Coutinho, Firmino and Willian are smaller than between those guys and Lallana, Barkley, Wilshere etc. I can't think of a single english world class player ever, who was that type of player. Unless you think it's something genetical that seperates the english from the spanish, brazilian or argentinians, then it means there's a cultural difference, a difference in the football education in the different countries. Because of this I believe it is unfair to label players that have worked their entire lives to be good technically as "lazy" (because they lack other skills), or to say that they are just naturally "gifted".